Album artwork or the front cover of an album is more than a piece of paper. It is like an ID card for the album, EP or single, giving information about the album and artist. It is also like a promotional billboard in record shops or on the internet, advertising the theme and genre of music, what was in the head of the artist during the making of this album …etc. However, the quality of the music of an album is the most important thing, but I believe the artwork is important too, as it is the first thing that everybody will see about the album even before its release. Every artist or band has this chance to encourage their fans or others to buy and listen to their albums or throw water on the flames inside the fans and make them disappointed before even listening to the music. That is why today, the artists and record labels are taking more care about the album front cover and are hiring professional artists to create the best art for their records. I had a chance to have an interview with one of those professional artists to talk about one of his masterpieces and his memories. 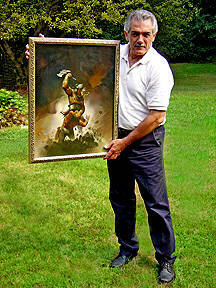 Ken Kelly, who has created many cover artworks for bands such as Kiss and Manowar and also for some movies. He is also responsible for creating an epic front cover for one of the best albums in rock music, Rainbow “Rising”, with his magical fingers and mind. 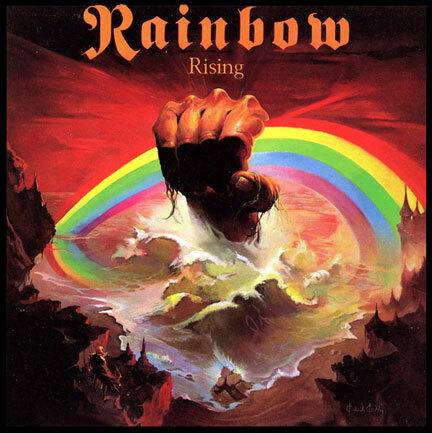 The creation of the Rainbow “Rising” artwork is definitely a milestone in Ken’s career. A masterpiece which still looks alive, beautiful and epic after 40 years and the dust of time was not able to reduce its value! 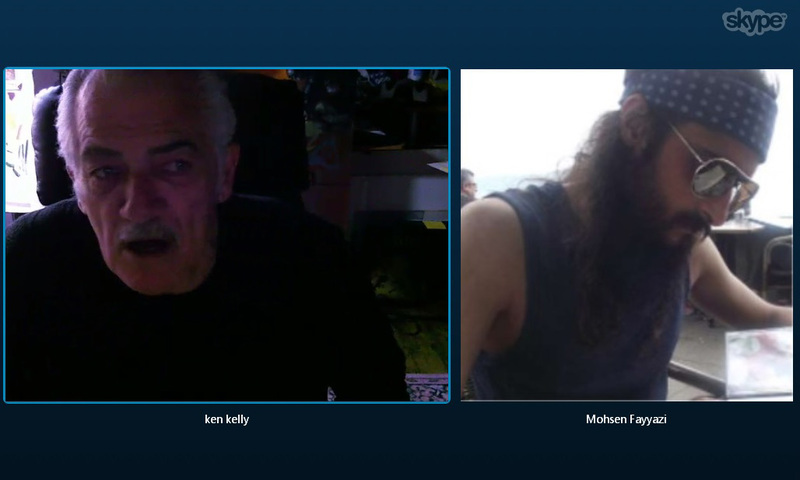 So we went through the history and into the past and talked about those days. “I have to preface it with what happened before I came to Rainbow. Rainbow itself was a very simple cover to do but I don’t want to misrepresent that. It was a difficult cover, it was a unique cover, but I have to give Ritchie Blackmore the credit for it. He knew exactly what he wanted. So, when I came into his office and after we greeted each other and sat down and started talking about the cover, I believe it comes from one of the songs – the actual reaching of the hand out to the rainbow. I had just been completely overwhelmed with KISS and what I did for them, so I was very prepared when Rainbow called and then I went into their office and they dictated the cover. So I left the office with a complete painting in my head, I simply had to go home and use the disciplines that we’re taught as artists and do what Ritchie said and that’s what I did. “I did not hear from the group or the label, it was a very smooth and simple transaction. * He also revealed two little secrets about this artwork, if you are interested to know about them, you should listen to the whole of this interview and see if you will be surprised or not!